Your heart rate, or pulse, is the number of times your heart beats per minute. A normal pulse rate varies among everyone, but it’s important to know what “normal” is for you. This can help you monitor your fitness level and could potentially help you identify health problems before they fully develop. If you are unsure what your normal heart rate should be, FastMed can help. We’ll teach you how to find your pulse, what a normal pulse rate is, and when you should seek treatment from a FastMed physician. It’s important to first locate your pulse. You can find your pulse in the wrists, inside of your elbows, side of your neck, and top of your foot. If you haven’t been exerting yourself, your heart rate should fall anywhere between 60 and 100 beats per minute. If it was over or under that, don’t panic! A heart rate lower than 60 is common for people who get a lot of physical activity. If you are overweight, you may have a higher pulse rate than other people, but it shouldn’t be very far over 100. 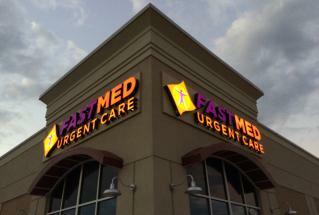 If you’ve noticed periods of extremely low or extremely high pulse rates, or a single instance of this accompanied by the symptoms listed above, stop by your local FastMed Urgent Care. A FastMed medical professional will likely check your temperature, pulse, rate of breathing, and blood pressure, then provide you with treatment or recommend you to a specialist. If a FastMed professional determines you need to be seen by a specialist, we can fax over your medical records and set up the appointment for you.